To Work For Trade Or Not? Sometimes in our line of work, designers get a request to do work for trade. This basically means an exchange of creative design services for someone else’s creative services or “other”. Other can take on the form of company stock, recognition/promotion of some sort, word of mouth referrals or another item of value to the Designer. When these opportunities arise, it is important to approach them with an open mind while also treading cautiously. Do I want or need this other person’s service? Is my perceived value of what I am getting worth the time I will put into what I am giving the other party? If it all goes south, how will this impact my relationship with this person/business? If you realize that this can be a win-win situation for both parties, then a few pointers on making the exchange go smoothly. Set up a written agreement with clear parameters on the scope of work you will be doing, including the amount of rounds and final delivery of design/service. If anything changes along the way, then modify the scope of work to keep everything accurate and fair. Assign a dollar value to your service and ensure you will be getting an equal value in return. For example if you will be doing $3K worth of work, then ensure you will receive $3K of services in exchange. Include a trade schedule of when you expect services to be completed for both parties. The last thing you want to do is have to wait 6 months for something you need within 3 months. On the other hand, if you realize a trade for work is not in the cards, then how do you exit gracefully without burning any bridges? If what you really need is cash flow and would still like to do work for the person, present them with an estimate of what the desired work entails. If they really need the service and want to work with you, they might be able to make some room in their budget for your services. Reach out to your network of designer friends. Someone might be interested in the other person’s services and willing to do the work for trade. 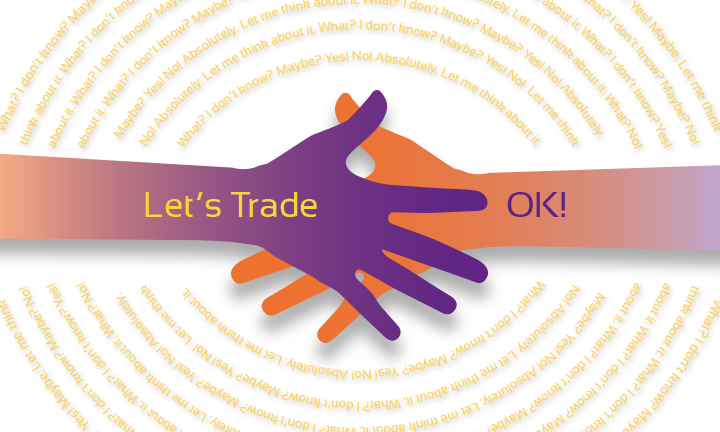 At the end of the day, the most successful and gratifying work for trade experiences will be where both parties feel that they received a fair exchange whether it be monetary or of a perceived value for the recipient.